This vacation rental is a home away from home. Awesome deck overlooking the ocean! This unit is 100% updated with full modern furnishings. DirecTV, 42” plasma TV, wireless internet, Gas BBQ Grill, DVD player, fully equipped kitchen w/ microwave, toaster, stove, refrigerator, pots and pans. This unit also comes with an indoor garage spot! Just added full home office amenities including computer, internet, fax and copier! Work right here from the comfort of your new oceanside retreat! Both bedroom's are large, one with a California King bed and the other with 2 twin beds. Lot's of charm and character for a week of nonstop fun. Not to mention only seconds to the water! You will find everything you need right in the rental, from beach towels to linens, from spices to coffee grinders. We have stocked the kitchen keeping in mind you might be cooking a meal or two. Perfect location for my family who loves the beach and sunset. I love to bike the 5-6 miles bike path right outside the condo. It is walking distance to all the great restaurants, movies, museum and parks. It is a perfect getaway for our family of 5. Pictures on the website are accurate description of the view from the condo. Shawn, the owner was very helpful in giving us tips on where to eat and visit. I will definitely recommend this property a friend or relative. Our adult children enjoyed their nightly catch and bonding time on the beach. It is a perfect place to be far enough from the hotel crowd and close enough to walk or bike to the touristy spots. Enjoyed our 11 night stay in this breathtaking condo. Thanks Shawn...We will definitely be back to stay. I had a wonderful experience at this vacation rental. It was exactly what I expected and everything I was looking for. We enjoyed nightly sunsets from the balcony from this rental that sits right on the beach. The unit was clean, spacious, and had all amenities we needed and the location was great for exploring Long Beach, San Diego and Los Angeles. Shawn was great and gave us tips of where to eat and places to visit during our stay. I highly recommend this vacation rental! I arrive here at night, go through the garage, park in my own private space exhausted and head straight to sleep. I wake up in the morning and see the most gorgeous view. We have the whole harbor in our window, with views of the ocean behind it! Such a relaxing place. I had breakfast on the balcony with my friend and afterwards we took the stairs down to the beach. This place is truly oceanfront with easy access to the sand. If you're looking for a beach vacation, you've found it! Thanks so much for having us for the weekend. We look forward to coming back! 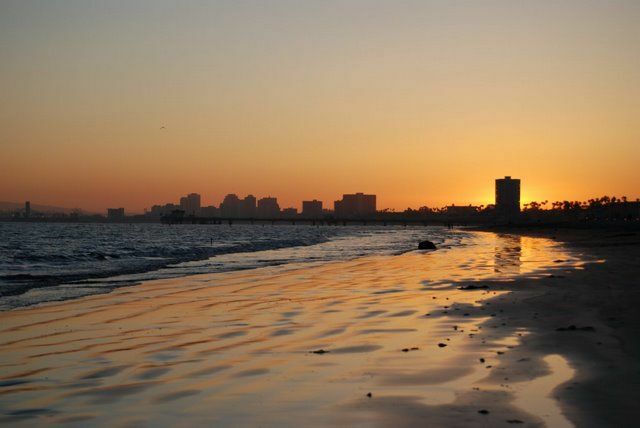 Long Beach is centrally located in the heart of Southern California approximately 25 miles south of the city of Los Angeles, on the Pacific Ocean. It is the 5th largest city and the largest beach community in California and is considered Southern California's newest coastal destination...is where the action begins and the fun never ends!!! From the regal Queen Mary and spectacular Aquarium of the Pacific to stirring Broadway shows, The Performing Arts Theather, Long Beach Museum of Arts, live music venues and hundreds of exclusive dining destinations (2nd St. Corridor and Downtown Pine District). Immerse yourself in the dynamic culture of the Museum of Latin American Art (MoLAA), or explore the eclectic East Village Arts District. Airport-close, a brief and pleasant cruise away from Catalina Island and a short distance from Disneyland, Universal Studios Hollywood and everything Southern California has to offer--Long Beach is the perfect destination!